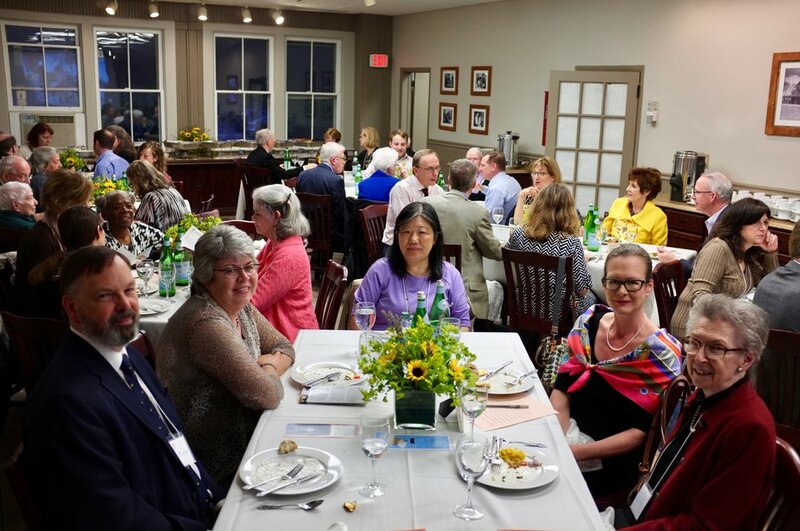 On April 21, The Huguenot Fellowship (THF) held a Soirée at Westminster Theological Seminary near Philadelphia. 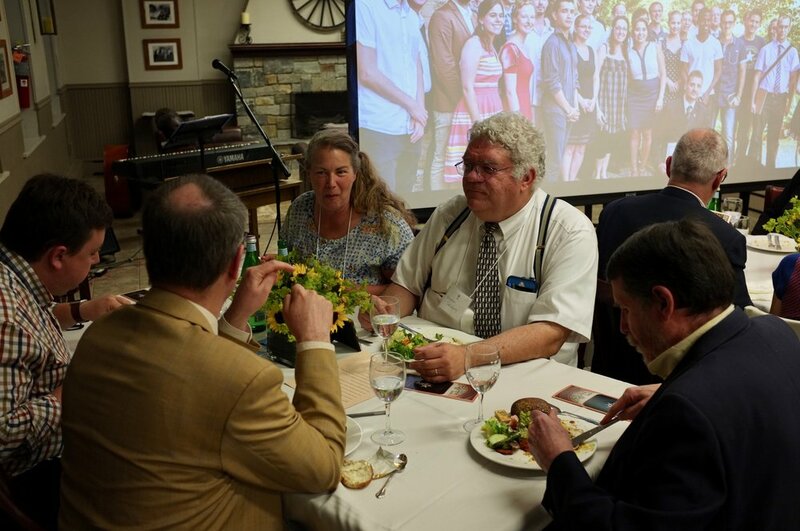 Sixty or so attendees enjoyed a memorable evening, which included an address by Gert Kwakkel, Professor of Old Testament at the Faculté Jean Calvin (FJC) in Aix-en-Provence, France; special musical by gifted vocalist-composer Ruth Naomi Floyd, along with Bill Edgar on keyboard, and Randy Pendleton on bass; a dramatic recitation (en français) of Genesis 1 by Libbie Groves; an appeal for support by THF Trustee Paul Wolfe (next week be sure to read Paul's inspiring account of why this date/event has deep personal significance); a delightful buffet dinner; and fun rides around the campus in Trustee Nan Powlison's antique car. Prof. Kwakkel gave an update on FJC citing 7 permanent and 10 associate professors, over 100 matriculated students, plus 30 students taking courses à la carte. Half of the students are from France and half from elsewhere, including North Africa and South Korea. Graduate programs include 29 students in the masters program and 12 students in the doctoral program. The seminary offers both traditional onsite and innovative distance learning approaches. God continues to bless the training of His servants at FJC! For you who could not attend, your presence at this Soirée was dearly missed! We sincerely hope that you will be able to attend the next one. Meanwhile please continue to pray for and contribute to The Huguenot Fellowship as it continues to support the Gospel of Jesus Christ in the French-speaking world. Many thanks to you, faithful friends and generous donors, without whom this ministry could not exit!